Only a few years before the Great War, John Foster Fraser an English journalist, world-wanderer and author, was invited to Australia and spent a few months travelling the states of the vast island continent. In his book , Australia – The Making of a Nation published in 1910 he made the following observation. Fraser explained quite simply that the large majority of the Australian population had been drawn from one source which was the British Isles, and when the Australian uses the word “home”, he does not mean his home, he means England. The Commonwealth of Australia was formed in 1901, Federation as it was called, and it had brought together six states under a single constitution. The founders of this new nation believed they were creating something new and wanted Australia to become quite different from the rest of the world, and set out to achieve a harmonious and united nation with democratic values. Within ten years Australia was making significant progress in developing its agricultural and manufacturing capabilities and the confidence in its independence and creating that national cohesion was building, however it did come up against some unexpected resistance to change. In May of 1913 the first Australian bank notes were issued and the Australian Government also issued a postage stamp with its first symbol of Australia, a Kangaroo, placed in the middle of a map of Australia. 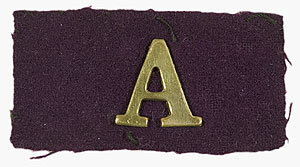 This simple postage stamp would test and also prove the observations made by author John Foster Fraser . The “green leaf” of nationalism as Fraser had described years earlier had lifted its head from the sand to take a peek, however the design of the postage stamp created a huge wave of public protest across Australia and the “green leaf” quickly retreated. The stamp was described as a monstrosity among the population at the time, with many feeling it gave the impression to the world that Australia was merely a wasteland overrun with Kangaroos. This was not the image on an envelope or postcard that Australians wanted to send to loved ones back home in England. Seven months later this simple postage stamp, a very modest symbol of Australia was abolished and replaced with the image of King George V, in line with every other part of the English empire and everyone was happy. The fledgling nation that had been an independent nation for thirteen years was still clearly struggling to prove its independence and its identity, but within a year of the wild stamp controversy, the “green leaf” of nationalism would start to germinate once more. The Great War would show Australians’ how petty and insignificant the image on a stamp could be. In 1914 the Australian population was now approaching 5 million and the estimated immigrants to Australia from England the year prior had been close to 50,000. Australia had become the preferred destination for British Immigrants. The London Daily had published the headline “The Great Rush To Australia” and higher wages paid to the Australian workers had the effect of attracting a young single man to the prospect of a better way of life. At the same time however, economic conditions in Australia were toughening and in February of 1914 the cost of living in New South Wales had been established at 2 pounds 8 shillings a week. This was considered sufficient for a family of four, however unemployment levels in the city were increasing and the worst drought Australia had ever seen had made conditions in the country go from bad to worse and the number of poor was increasing. Apart from these difficult times, Australians still felt pride in their land and its vastness and the fact that Europe minus Russia could be swallowed up in it. They were proud of its progress and the opportunities and closer uniformity of prosperity it offered to everyone. Daily life in the city or country was simple, transport was still predominantly horse or carriage, cities had trams, and long distance travel was by train. They felt blessed by the outdoor lifestyle, the sandy beaches, the healthy working life and the Australian climate was suited to a love of cricket and rugby, sailing, rowing and horse racing. A world approaching war in 1914 would thrust Australia into a new chapter, and the simple life of this young country was about to change very quickly. After a period of great political tension and upheaval in Europe, Great Britain declared war on Germany. Australians had been following the progress in the papers , those who couldn’t read or didn’t spend the money on a newspaper listened in shop fronts as the news was read aloud, and those in the country heard through what was known as the bush telegraph days or weeks later from people passing through. When the call went out in August 1914 to join the mother country in the war in Europe, politicians and Australians alike, no doubt felt compelled to rally behind the call to join Great Britain in the war. By Friday the offer had been accepted by the British Government…. 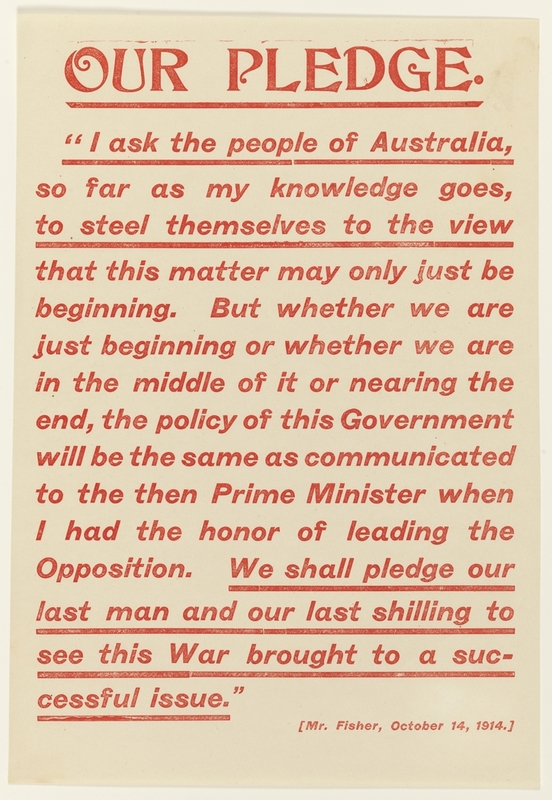 The man who was to become Australia’s next Prime Minister, Andrew Fisher, promised that “Australia will stand by to defend (Great Britain) to our last man and our last shilling”. 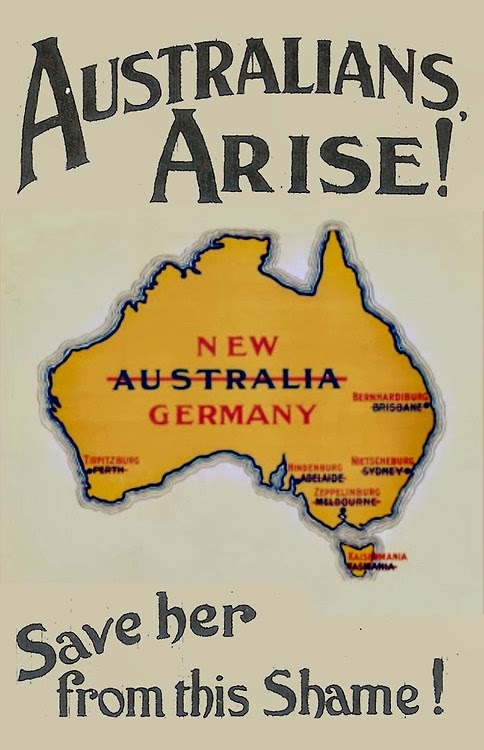 And so it was, the stage was set, Australia, the fledgling nation once worried about a simple postage stamp…. was now going to war.